To ensure an accurate submission of your application for Next Generation class of 2019, please visit our website on a desktop computer. The application for Next Generation 2019 (formerly Collegiate Leadership Experience) is closed. The next application period will open spring 2020. 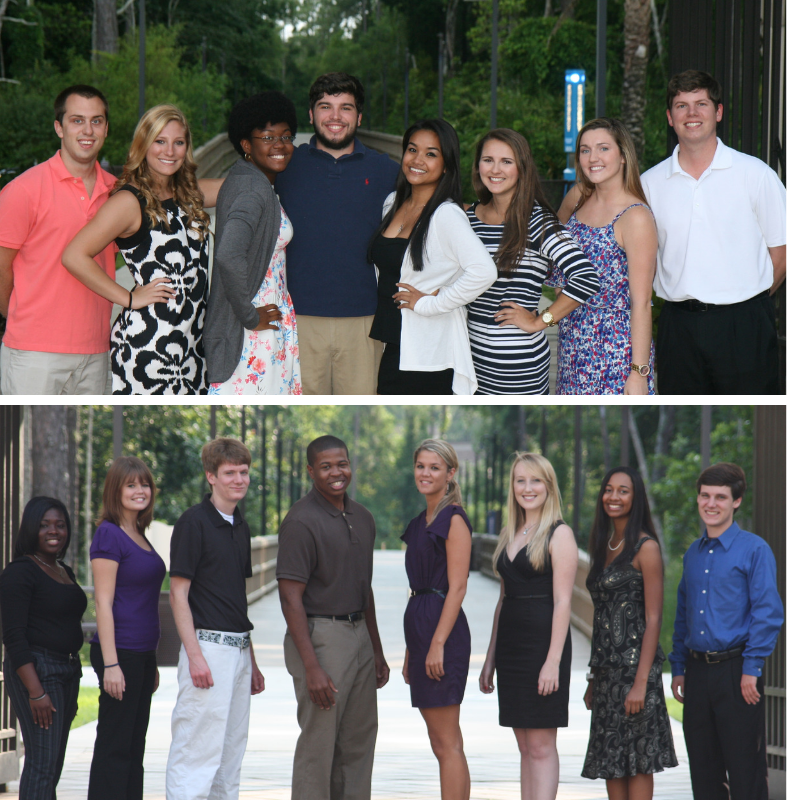 Next Generation is an exciting summer opportunity for approximately 32 participants. Participants interact with community leaders, network with professionals and go behind the scenes to explore difficult issues facing our community and learn from our successes. Exploring what it means to be a community trustee, this diverse group of participants will learn from each other through interactive and problem solving activities. During action packed program days they learn about many aspects of our community – from government to the arts. During the summer, participants participate in an overnight Opening Retreat, Program Days on three weekdays and a Saturday Closing Retreat. Be within two years post-graduation with an undergraduate or graduate degree. Applicants must be, or have been, in good standing at their college/university and have demonstrated leadership in high school and/or college. To become a responsible, ethical leader committed to active community involvement and trusteeship. To encourage the leader within each of the participants and inspire them to begin making a difference – now! To encourage participants to live and work in Northeast Florida after graduation and serve as a community trustee. To gain a greater understanding of contemporary issues through interaction and problem solving with peers, leaders and decision makers from all segments of the community. To broaden participants’ perspective and understanding of Northeast Florida’s assets and potential, stimulate interest and encourage a team approach in resolving community problems. How does someone join this program? Recommendations for Next Generation may be submitted by email to Meg Folds, Youth Programs Director. Include the candidate’s name, phone number, email address and college/university the candidate is attending. You may nominate more than one candidate. A recommendation provides staff and the selection committee with information necessary to contact a candidate and ask them to submit the required application. No candidate is included in the selection process without the submission of a completed application. When the application form is posted, candidates will receive instructions on how to proceed with the application process. The application process for the Next Generation Class of 2019 will be completed in April 2019. A committee of Leadership Jacksonville alumni will review the applications and conduct in-person and phone interviews during late March and early April. Local students will have face-to-face interviews; students away at school will have phone interviews. The classes are selected in May. ‘Meet the Class’ Reception – Thursday, May 30, 2019 from 5:30 p.m. to 7:30 p.m. Mandatory Opening Retreat – Friday, June 7, 2019 from 8:30 a.m. to Saturday, June 8 at 4:30 p.m.
‘Creating a Caring Community’- Tuesday, June 18, 2019 from 8 a.m. to 5 p.m.
‘Exposing Our Community’s Culture’ – Wednesday, July 10, 2019 from 1 p.m. to 8:30 p.m.
‘Building Bridges to the Future’ – Monday, July 22, 2019 from 8 a.m. to 5 p.m. Closing Retreat – Saturday, August 3, 2019 from 9 a.m. to 4 p.m.